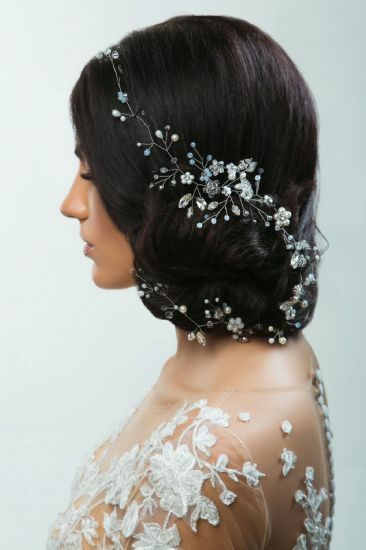 Enhance the look of your bridal gown with our beautiful selection of crystal wedding hair accessories. 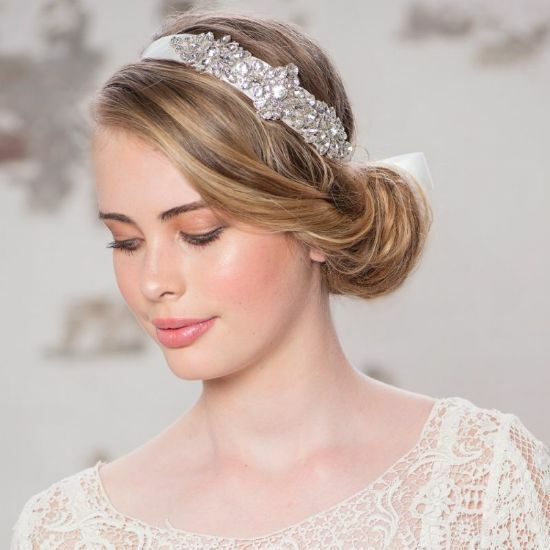 Our vintage style crystal wedding hair accessories and bridal hair accessories include tiaras, bridal headpieces, hair clips and bridal hair pins which are very versatile and will add a touch of sparkle to an updo and can be worn with most hair styles.to match your theme. Our bridal headpieces, wedding hair vines and wedding hair accessories are made from crystal cubic zirconia and faux or freshwater pearls. We have a stunning selection of bespoke tiaras which work with most hair styles tiara combs in a choice of styles and our bridal headpieces can be worn with updos in a variety of styles. We offer flexible bridal hair vines the perfect choice if you are looking for something different to the traditional vintage tiara and are great for a romantic look, perfect wound around your hair if your hairstyle is a in a bun or even worn loose. We have a wide range of crystal bridal hair combs made to suit the vintage, modern or romantic bride. Our crystal headbands look beautiful with an updo or with your hair down and also they look lovely on brides who have short hair and are very easy to wear without the need to fix in place. Choose between side headbands which suit most hairstyles and help frame your face and traditional headbands. Our bridal cubic zirconia crystal headands can be worn with or without a veil and are uniquely designed and carefully handcrafted from AAA cubic zirconia and Swarovski crystals and are silver, rose gold or gold rhodium plated. Remember to harmonise your crystal wedding hair accessories with your other bridal jewellery so that they compliment each other and enhance the look of your bridal outfit. It would also help if you knew what hairstyle you were having on your special day which would help greatly when deciding on your bridal hair accessories.